In today’s digital world, the lives and eyes of contact lens wearers are constantly moving between on-screen and off-screen activities. More than 90% of adults use digital devices for more than two hours a day1 and nearly 60% of adults use digital devices for more than five hours a day1. Sustained focus on close-up digital devices strains the eye’s accommodative system. That’s where Digital Zone Optics™ lens design can help. Digital Zone Optics™ is a breakthrough lens design for sphere lens wearers who use digital devices. Digital Zone Optics™ lens design helps ease accommodative burden as wearers move their gaze from on-screen to off-screen and back with less effort. Multiple front-surface aspheric curves are employed across the entire optical zone. These curves distribute power evenly to simulate more positive power in the centre of the lens. As a result, Digital Zone Optics™ lens design helps ease accommodative burden without impacting distance vision. You’ll find Digital Zone Optics™ in Biofinity Energys™ contact lenses. 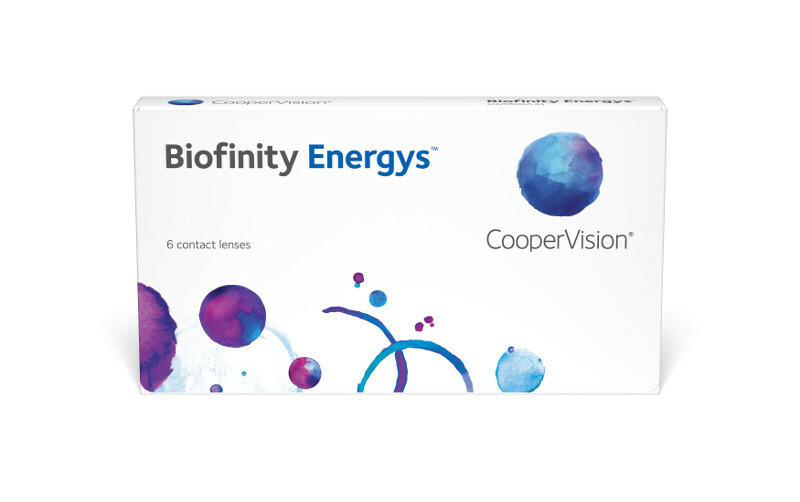 Patent-pending CooperVision® Biofinity Energys™ contact lenses are designed for all-day wear, helping eyes to adjust seamlessly when continuously shifting focus between digital devices and offline activities. After one week of wearing Biofinity Energys™ lenses, 8 out of 10 digital device users said their eyes felt less tired3. Biofinity Energys™ lenses fit like a single-vision lens. They’re a breakthrough for sphere lens wearers. Ask your sphere patients about their digital device usage. Biofinity Energys™ lenses with Digital Zone Optics™ are designed for their digital lifestyles. 2 “Symptoms associated with eye fatigue in soft contact lens wearers.” Authors: D. Meyer, S. Huenink, M. Rickert, P. Chamberlain, and P. Kollbaum. Presented at the American Academy of Optometry Annual Meeting, October 2015, New Orleans, La., USA. 3 Among patients who use digital devices at least 4 hours per day at least 5 days per week and self-report symptoms of eye fatigue at least once per week. Data on file.